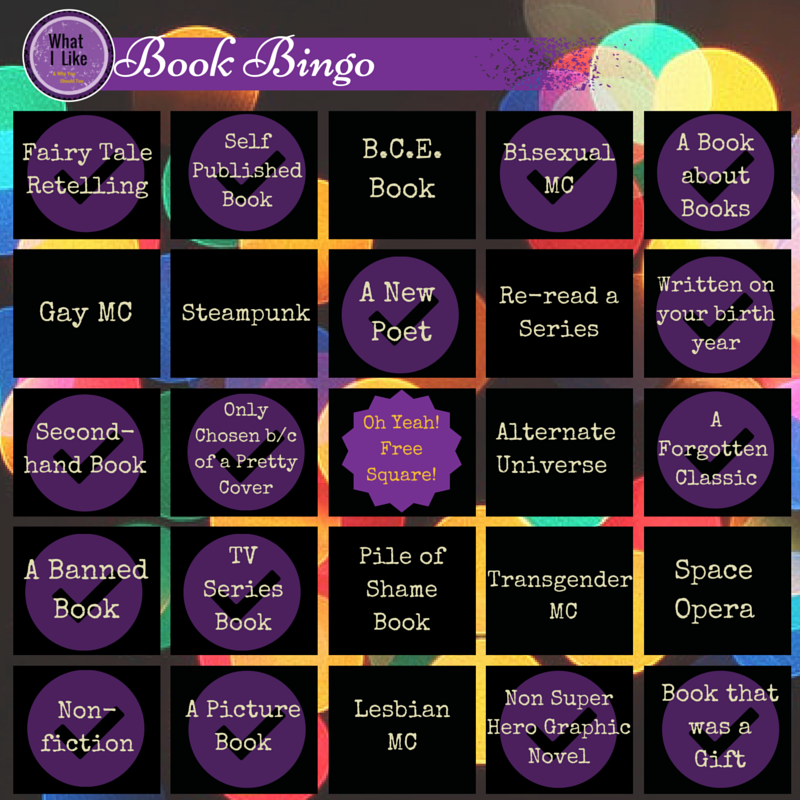 Book Bingo: It’s almost a year! I can’t believe it, my year is almost up! I started this in February and now have four months left to read ten books. With this in mind, this post is a super rushed catch up. Catcher in the Rye by J.D. Salinger. I read this book for my book club and was surprised. I had always envisioned what the book was about from the descriptions other people have given me. It was nothing like any of them. I can say that I did not enjoy this book, however it was interested to finish the book and research the history and context surrounding the book being banned. Charmed Life by Diana Wynne Jones. My monthly book club allows members to select the book for the month, on my month I decided to dedicate the month to Dianna Wynne Jones. Any of her books could be read, and straight away I had to trouble of picking between Charmed Life and Howl’s Moving Castle. However, I have re-read Howl a number of times but have not read the first of the Chrestomaci since the very first time. The book was everything I remembered, Jone’s style is one that not only takes me back to my early teenage years but she creates such wonderful worlds. I do plan to continue reading the series at one point. Bravest Warriors Volume 1 by Joey Comeau (Author), Mike Holmes (Illustrator), Pendleton Ward (Creator) and Ryan Pequin. This one is cheating a little bit because Bravest Warriors is technically a web based show not a TV show. However, I am willing to cut myself a little slack and allow this choice. Bravest Warriors is an amazing show that I have previously mentioned and this awesomeness is one that translated over into the graphic novel. The graphic novel (a collection of the individual comics) is funny, pretty, and made me want to re-watch the two seasons of the show. Now more than ever I am anticipating the third season. No matter the Wreckage by Sarah Kay. I bought this book with no prior knowledge of the poets style or poems. I must say that I enjoyed the book. The poetry was different and lovely, with Sarah Kay’s style creating a distinctive but gentle tone. The stand out poems for me were often the smaller ones that dealt with smaller moments in life, such as the incoming Winter and staying in your PJs all day. I will definitely keep my eye on Sarah Kay and look forward to her next publication! Gosh, if it’s almost a year for you, it’s almost a year for me! I should check my list and sort that out asap. Also congrats on your progress! Should have started with that haha. I love your categories, too. I may need to pick some for my next Bingo. I love the Chrestomanci series! I wish there was more of them. I know right, when I got to certain parts of the story it just reminded me so much of the time when I first read it.